I have a roving mind. 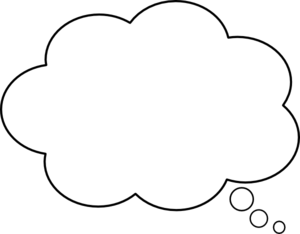 Through the course of each week I tend to accumulate random wonderings in my mind, most of which never evolve into anything other than a niggling question that’s going to bother me until I 1) ask someone who knows or 2) go find the answer myself. 1) The word “testify” more than likely does not have any relevancy to a man’s testicles, which has me kind of sad, as I wanted to use it for a Wednesday WOLF, but didn’t have enough evidence that it’s factual. I’m bummed by this, as I’d really like to be able to use the female counterpart “Breastify!” to indicate my strong agreement with someone else. 2) I’m a red meat eater, we’re talking like velociraptor levels. I’ve got it in my head that I want to know how many cows I’ve eaten in my lifetime. I think I’m hitting herd levels. 3) I try to say random things sometimes in response to perfectly reasonable statements. You should try it sometime. Anyway, I finally got up the courage to order a flashy coffee from McDonald’s and had actually written down a guide for myself in preparation for the drive-thru. Once I got there, I was informed that “the machine that makes hot drinks is broken.” Which of course, I thought was really funny and I said, “It’s OK, I’m my own machine that makes hot drinks.” And then I thought, Oh, technically… that’s correct.